Centrally located yet enjoying the green surroundings of the Alster lake, this hotel awaits you in Hamburg’s St Georg district, within walking distance of the main station and city centre. 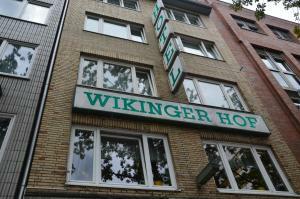 The Wikinger Hof offers comfortable accommodation in the heart of the city. Go for relaxing walks along the lake and soak up the peaceful ambience. Alternatively, discover the city’s vibrant shopping areas and stimulating cultural activities. Lohmühlenstraße underground station is just a 3-minute walk away, allowing you to travel throughout the city with ease. The congress centre can be reached in just 15 minutes.